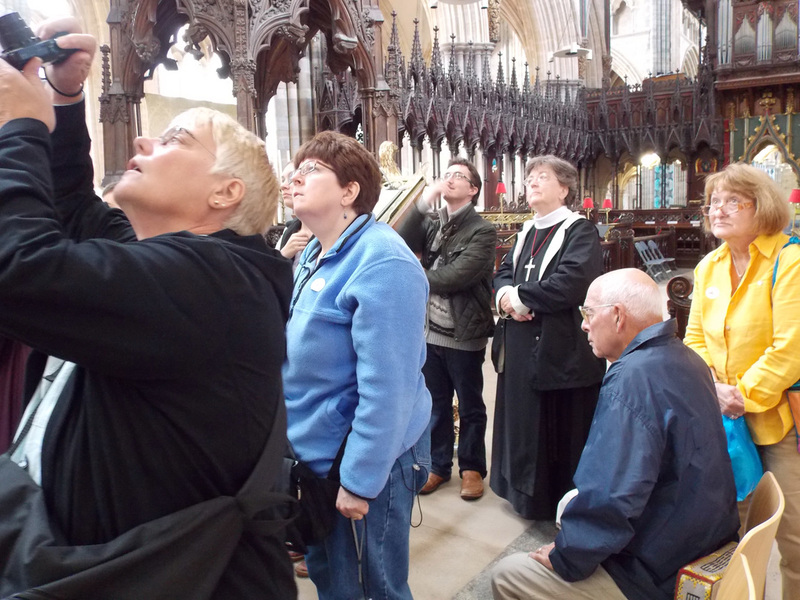 Our Sisters now work in a variety of settings, including parish ministry, retreats and quiet days, spiritual direction, and Celtic Journeys to Ireland, England and Scotland. Our connections to the dioceses of the area, Newark and New Jersey, are strong, and we offer a quiet place for clergy and lay groups to meet. 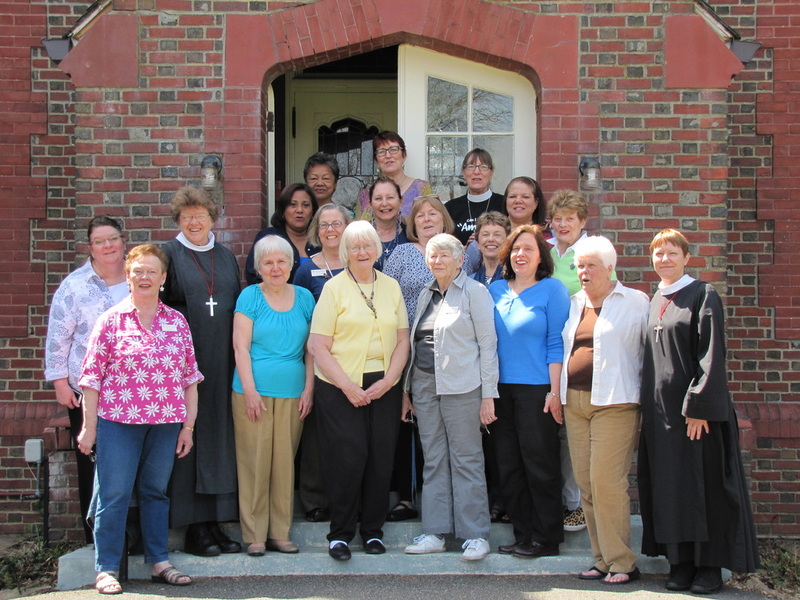 Sisters serve on diocesan committees and guilds; they also serve as priests. We offer three ways for learning and practicing fine needlework and vestment repair. 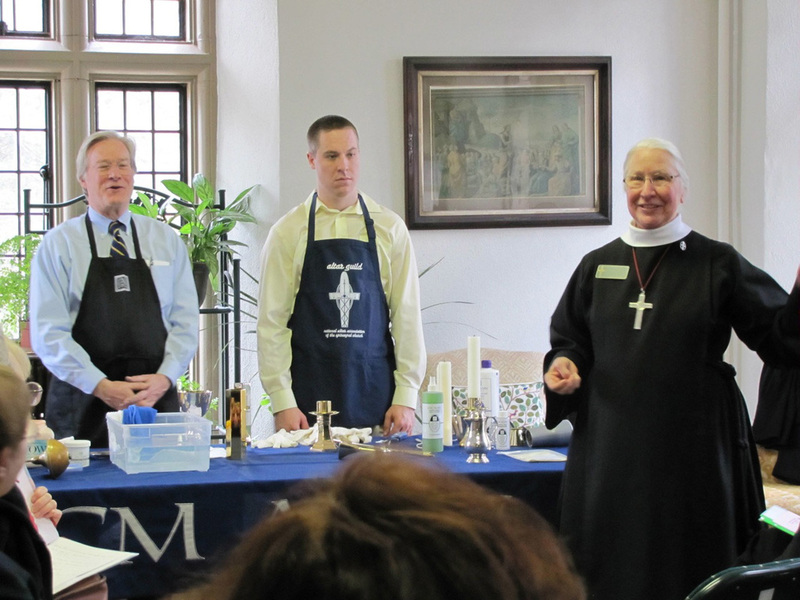 A Fall workshop sponsored by the National Altar Guild in ecclesiastical embroidery, a workshop on vestment repair, and a bi-monthly class on the care and repair of altar linens and vestments. 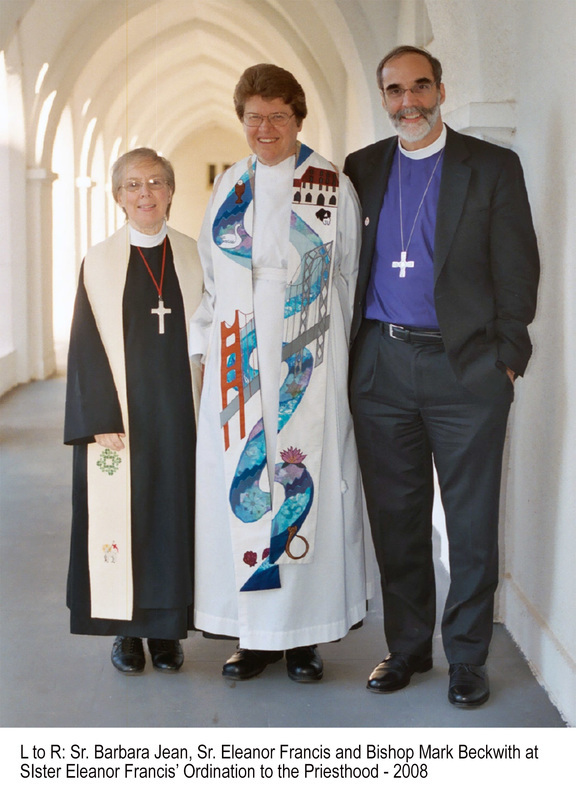 This ministry has touched thousands of people and dozens of parishes around the world. 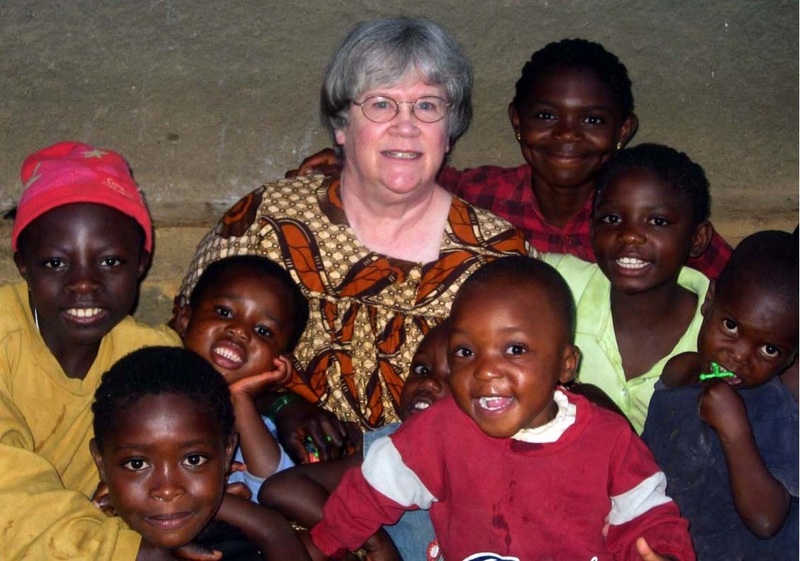 We also support the Good Shepherd Home for children orphaned by the AIDS epidemic in the Cameroon, West Africa. The vegetables we grow in the Garden of Hope at the Convent are donated regularly to local food banks. 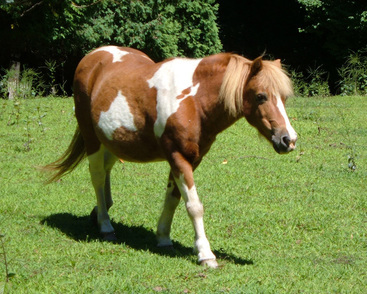 Daytop New Jersey is a wonderful addition to life "on the hill." Here children between the ages of 12 and 20 come to a long-term residential treatment community to reclaim their lives from addiction and learn how to live. Sisters run spirituality groups and it is nothing short of miraculous for these young people to move from addiction and despair to hope, discipline, and love. 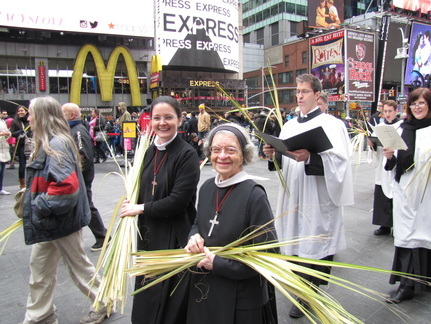 Sister Monica and Sister Laura Katharine in the Church of St. Mary the Virgin's Palm Sunday processional in Times Square.